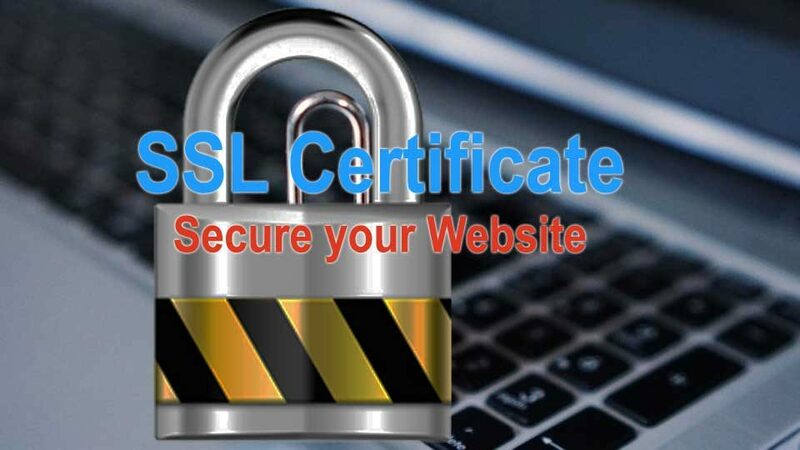 SSL Certificate is important today for website security. SSL stand for Secure Socket Layer. SSL certificate helps to win the customer trust. Once SSL is applied on Dynamic Website Design, it shows a green pad lock before the website. This green padlock wins the customer trust and visitors can browse your website with confidence. In the growing age of internet, cyber attack is also a challenge to deal with all the website attacks. There are different measures that Hosting companies are taking in order to serve the visitors to protect the websites. Software and Hardware firewalls, modsecurity, different rules designed to fight Brute force attack, Anti DDOS. These are some of the tools and mechanism used to fight the cyber security against websites. Why is SSL Certificate important for Dynamic Website Design? Since Dynamic Website has one login page of users to modify the content. This login page again gives the access to hackers to run different techniques of hacking. If SSL Certificate is enabled on dynamic Website, the possibility to steal the login credential is zero. This way, SSL Certificate is very important to Dynamic Websites. Understanding different SSL is important. This factor determines the best SSL Certificate for your Website. From the very start of Domain Validation to Business validation, there are almost many varieties to choose from. Like the very basic is Domain Validation. This domain validation actually validate the domain identity from the whois record to confirm that this is actual owner of the domain. One step ahead is Business Validation, this validates that the said domain belong to correct organization. In the recent times, there is gradually a increase in the phishing site. Some of the website pretends that they are the actual websites of a particular organization. In this situation, there are almost many cases are lodged for password hacking of bank accounts and other sensitive information. Like Banking segments have been seriously affected by this phishing sites. So, in this case Business validation website is suggested. Visitors would be knowing that this website belongs to a correct information. Organization name is displayed in the browser with green bar having country information also. So, Extended SSL Certificate is the perfect choice for your organization.